As payment continues to become more closely linked with patient experience and patient reported outcomes, the information gleaned from assessments such as the Hospital Consumer Assessment of Healthcare Providers and Systems (HCAHPS) will be a major area of focus for hospitals and providers in 2015. One area that has not previously been included within the HCAHPS, or any federal or statewide assessments, is the perspective of parents of pediatric patients. 2009 survey data culled from the initial research into the development of a pediatric HCAHPS assessment showed that 6.4 million children were hospitalized that year, accounting for 17% of total hospital stays. In fiscal terms, that’s $33 billion in healthcare spending; 9% of total care costs. Since we are all well aware that reimbursements are becoming inextricably linked with performance measures, it seems like quite an oversight to have excluded the pediatric population for this long. For the purpose of context, pediatric patients are those between the ages of 0-17, those whose parents or caregivers are still actively overseeing their care and making decisions about their treatment. Measuring patient satisfaction in these cases may not have seemed as intuitive as is the case with the adult HCAHPS. In the case of evaluating a child’s treatment during a hospitalization, careful consideration must be given to the limitations of their experience — and the parent’s ability to share not just their own perspective on the care, but that of the child. Moving ahead this year, CMS has announced a partnership with Medicaid and CHIP to start basing their reimbursements on parent/patient satisfaction with care in the pediatric demographic. The pilot is funded by AHRQ and CMS, who hope that the continuation and expansion of the pilot in 2015 will yield helpful data as healthcare, on the whole, continues to move toward satisfaction based reimbursement models. Of course, not all providers and hospitals are convinced that this model works, regardless of the age of the patient. Some physicians and academics worry that if the focus is on patient satisfaction, rather than treatment, doctors and hospitals might be backed into a quarter when it comes to keeping their patients happy. What Can We Learn From Pediatric HCAHPS Surveying? The reality is, a hospitalization is more often than not an uncomfortable experience no matter how you slice it. Many doctors feel that, in order to raise or keep up with their patient satisfaction scores, they need to adjust their treatment in the interest of patient happiness— a decision which ultimately may be costing the hospital more money. Many providers report feeling that they should not deny a patient a request for pain medication, antibiotics, scans or even an admission for fear that their HCAHPS score will suffer. Certainly this practice is no more sustainable than the fee-for-service model the industry is currently attempting to extricate itself from. In the case of the pediatric HCAHPS, however, the new model of measuring patient satisfaction may actually prove useful in redesigning the adult HCAHPS. Since the patient’s parents/caregivers are really the ones being surveyed, rather than the patient, they may be able to provide a more comprehensive view than could be gleaned from a first-person account. Maybe the future of patient satisfaction will similarly fall into the “third-party” review of physicians: peer review models, which provide an accurate and unbiased assessment of performance, could perhaps have a place in the quest for patient satisfaction. 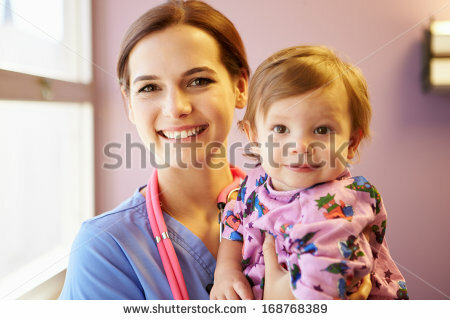 Of course, that being said, one would be hard pressed to find a parent or caregiver of a pediatric patient who isn’t, at least, a little bit biased.